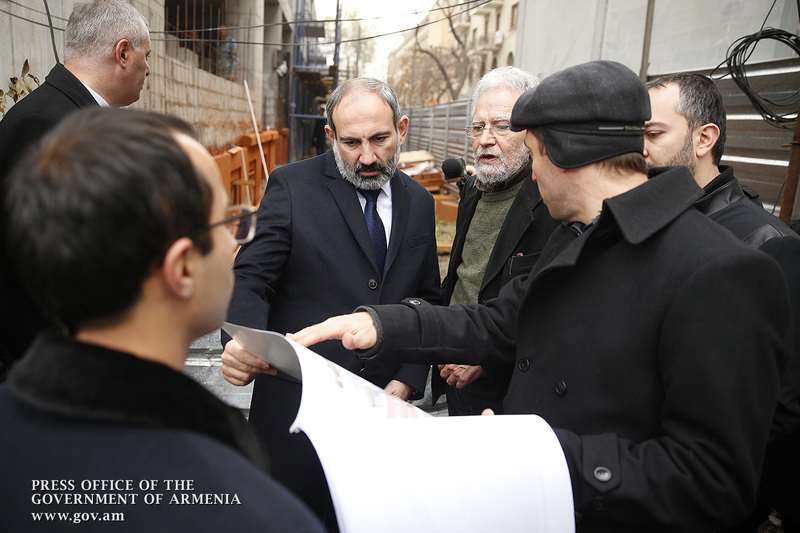 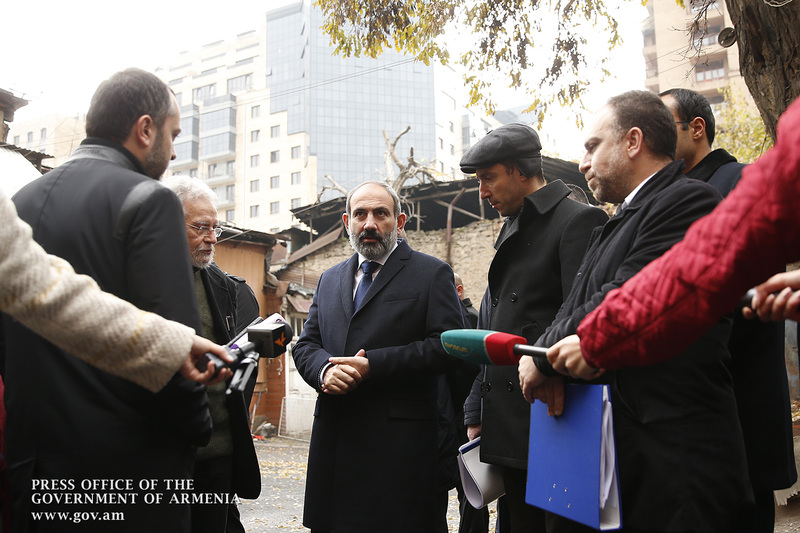 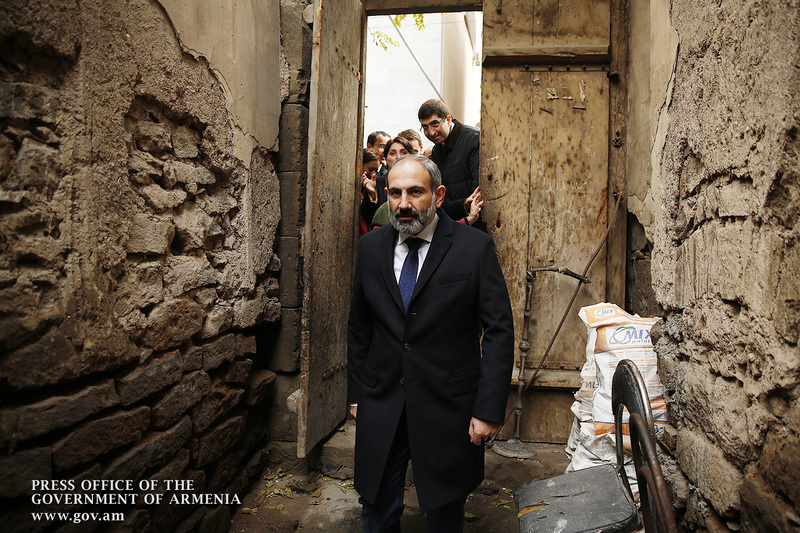 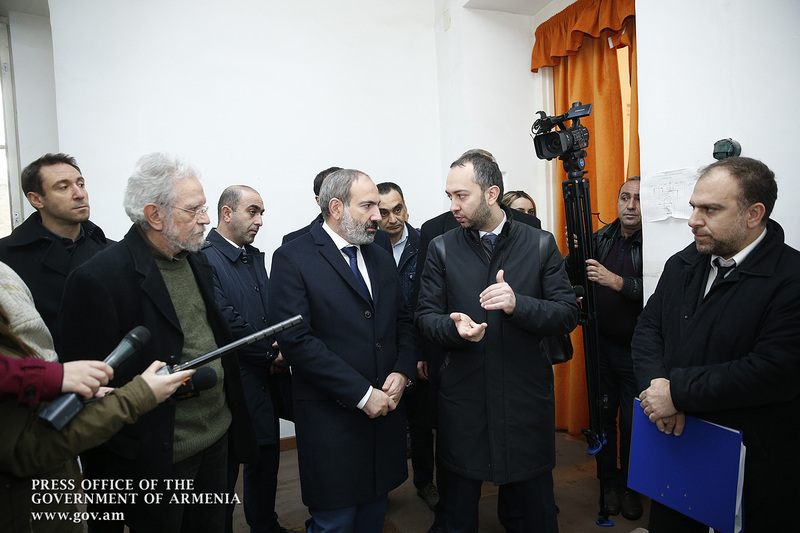 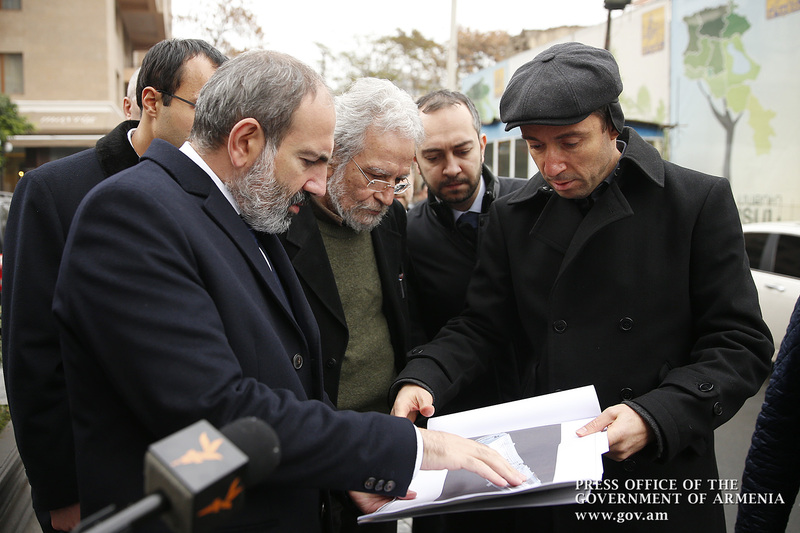 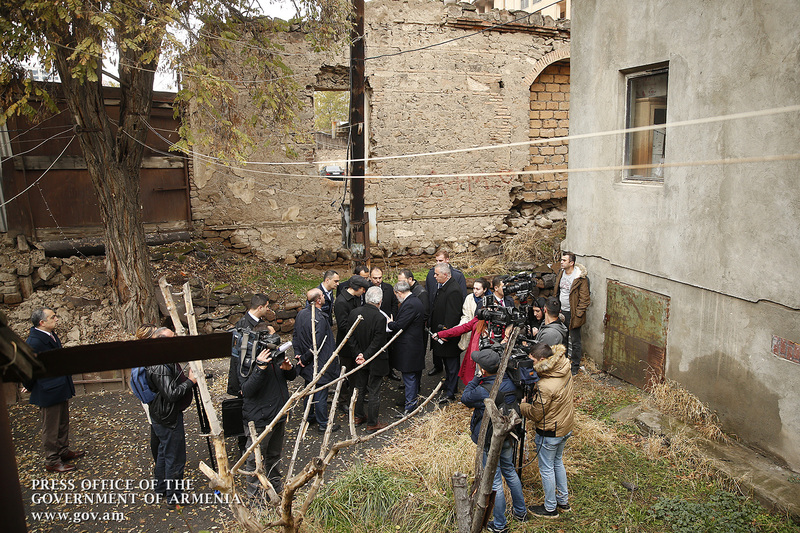 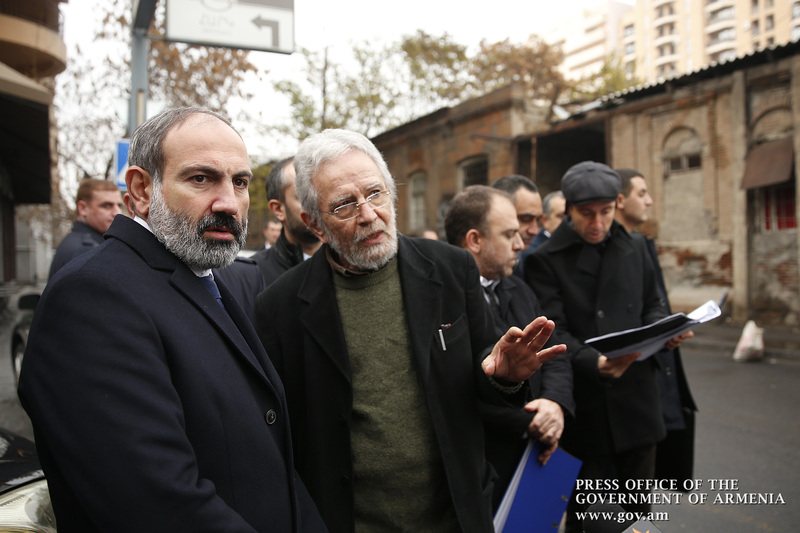 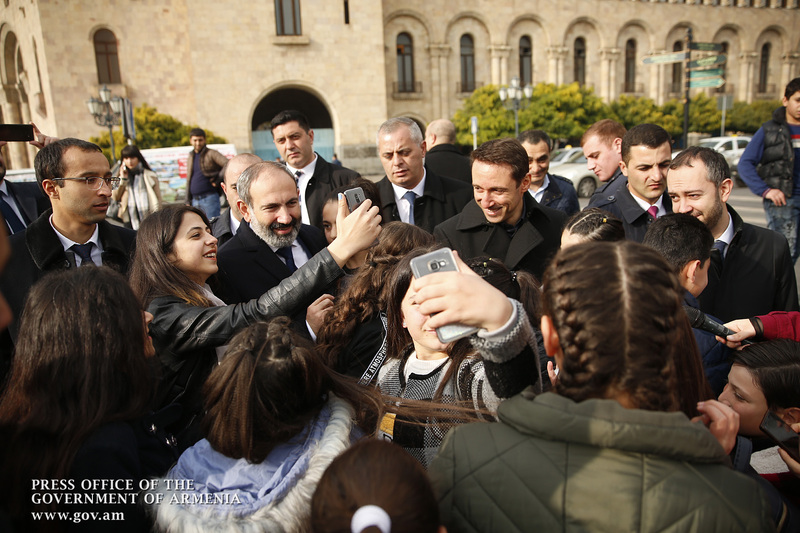 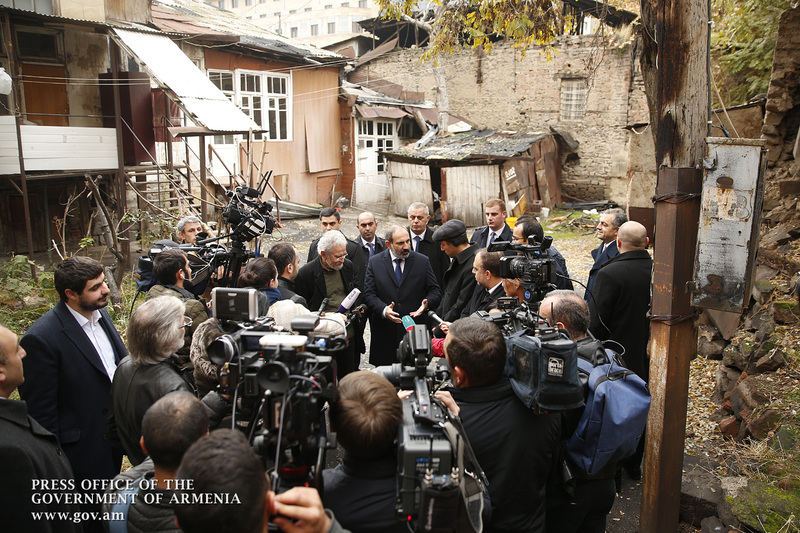 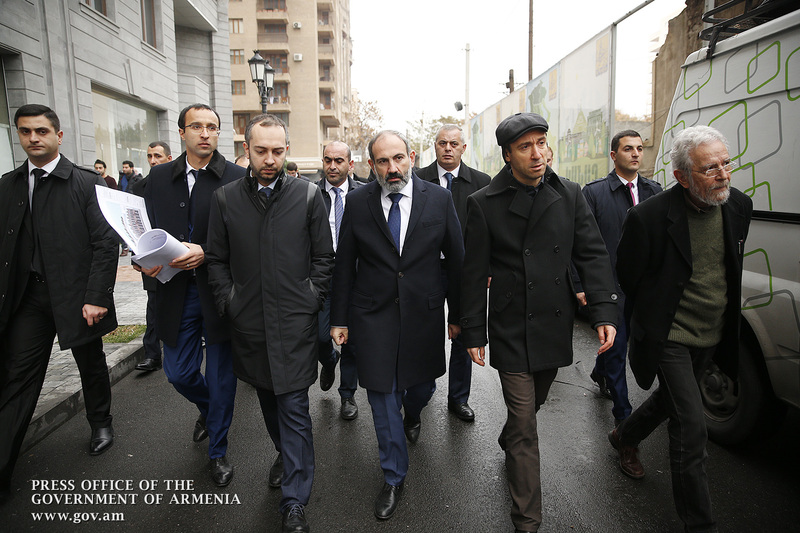 Accompanied by Yerevan Mayor Hayk Marutyan, Urban Development Committee Chairman Avetik Eloyan and Yerevan’s Chief Architect Artur Meschian, Acting Prime Minister Nikol Pashinyan toured the streets of Arami, Byuzand and Koghbatsi where the Old Yerevan program is to be implemented. 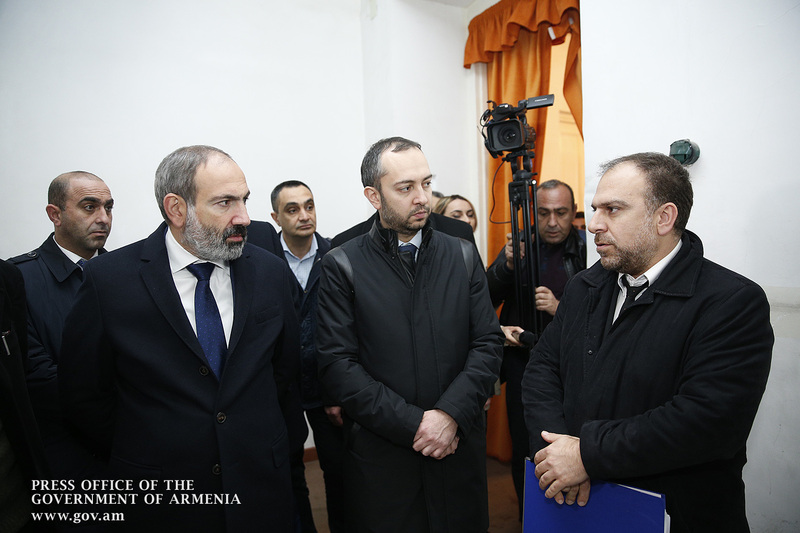 Hayk Marutyan and Artur Meschian introduced the program and briefed the Acting Head of Government on the situation around the existing historical-cultural monuments. 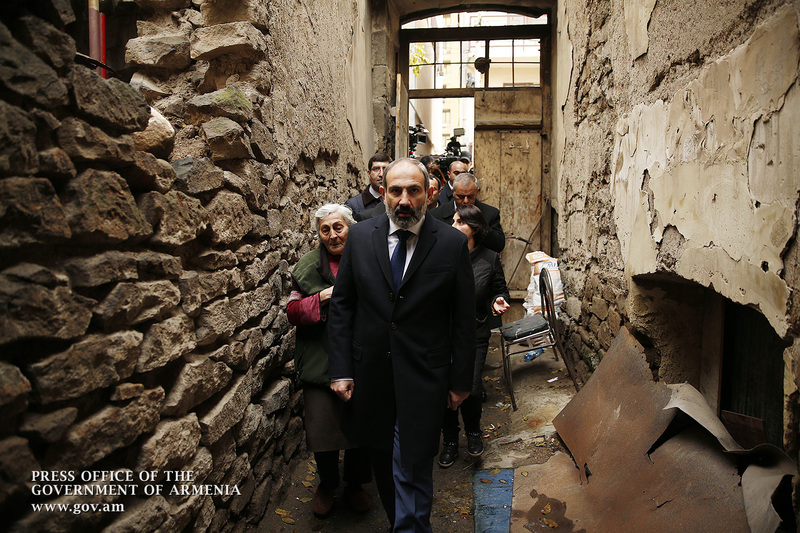 Nikol Pashinyan next called at the historical-cultural monument-building, which is located at Aram Street-23 and belongs to Armenian Little Singers International Association. 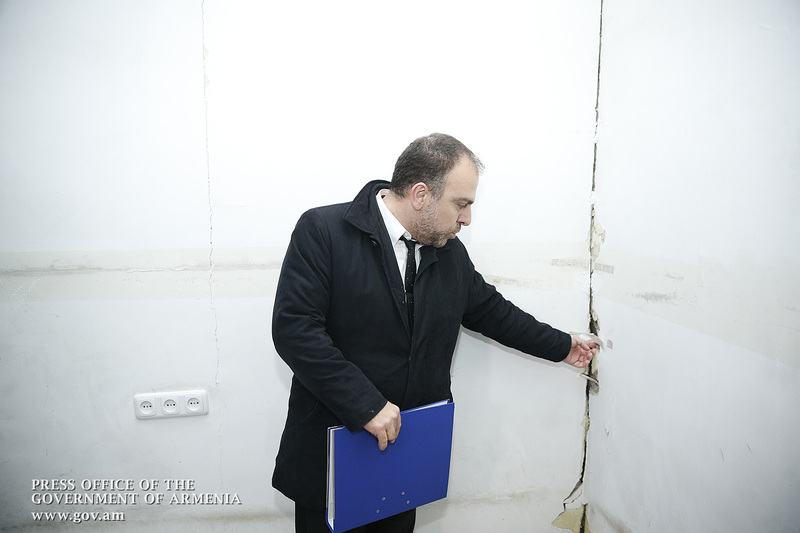 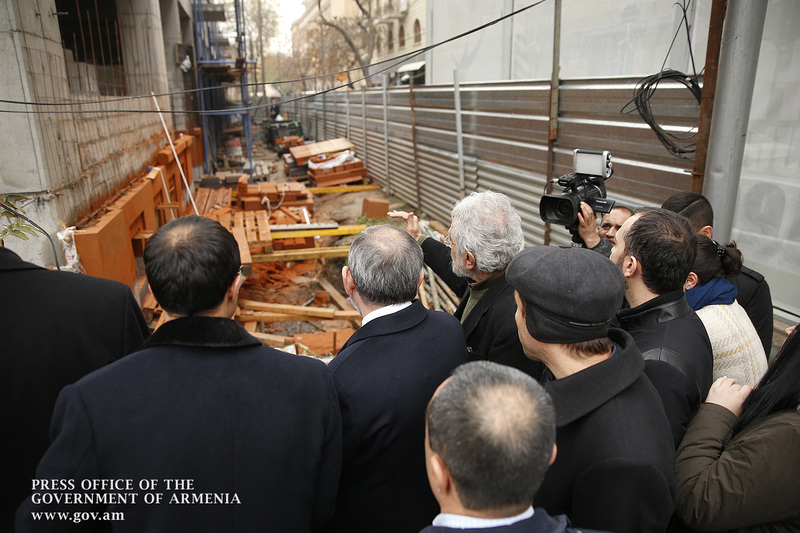 The building has been badly damaged as a result of excavation and construction work carried out within the framework of the Old Yerevan program. 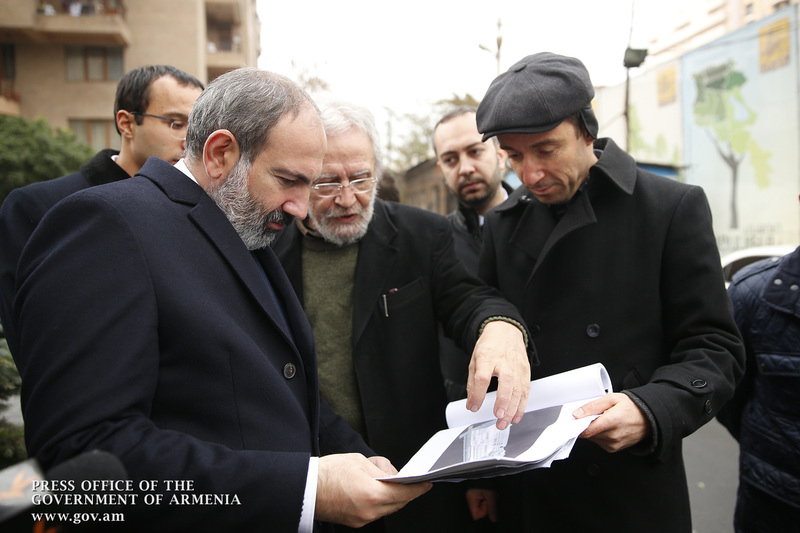 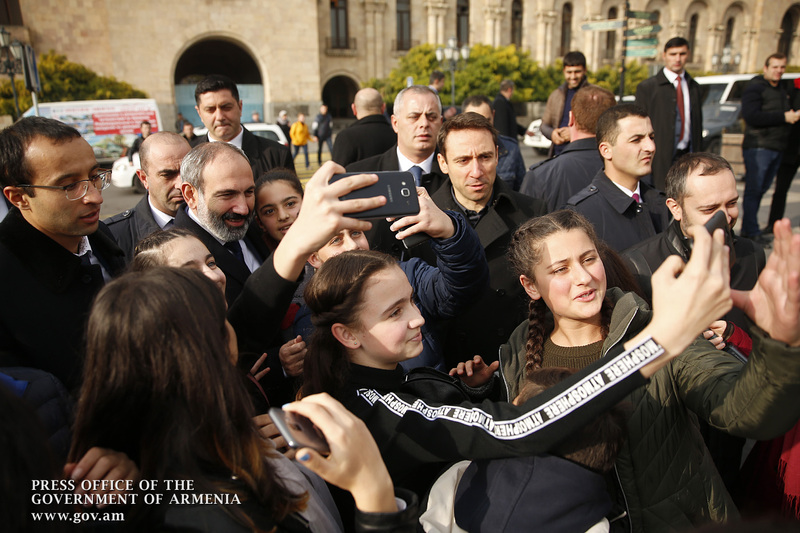 In this connection, Nikol Pashinyan underscored that the Old Yerevan program should be implemented without destroying any historical-cultural monument. 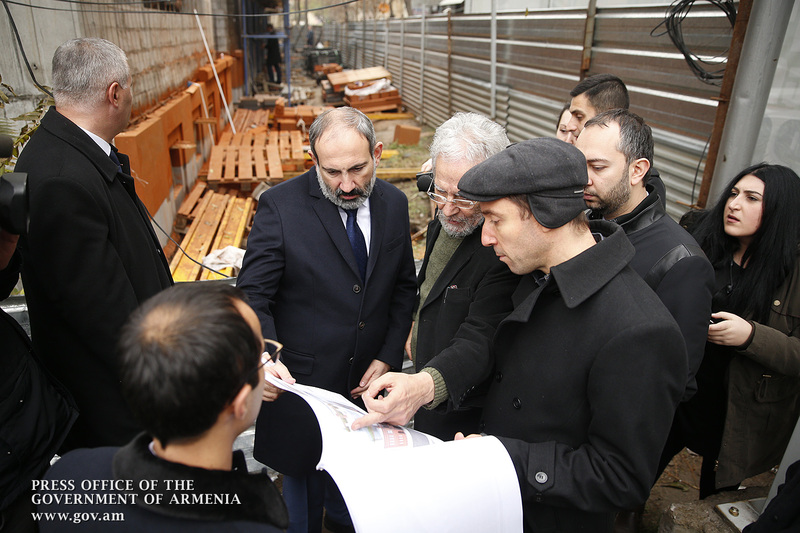 “In this case, we have come to agreement with the developer, and it is up to the architects now to come up with relevant solutions. 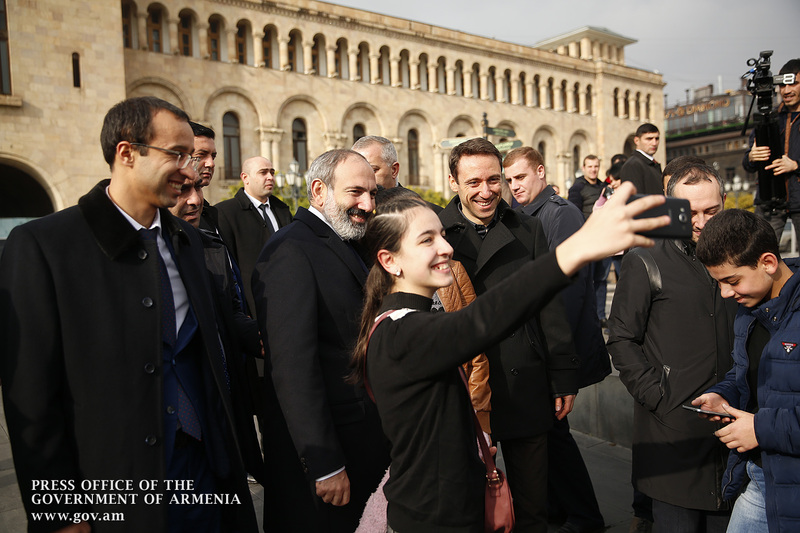 The principle of preserving the historical-cultural monuments should be strictly observed from now on,” Nikol Pashinyan said, adding that the Yerevan Town Hall has the strategic task of improving the center of Yerevan and expanding the green zones in the city. 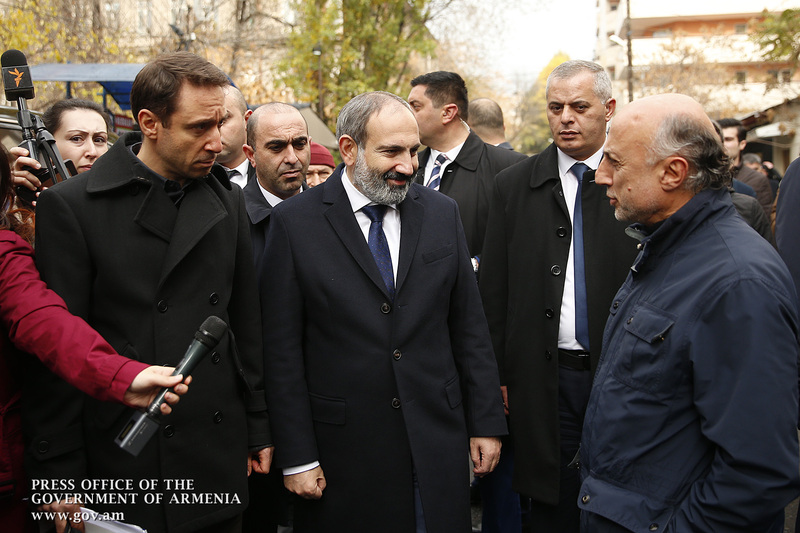 “As regards the restoration of green areas, either the Ministry of Nature Protection has to take serious steps in cooperation with other stakeholders,” Nikol Pashinyan noted. 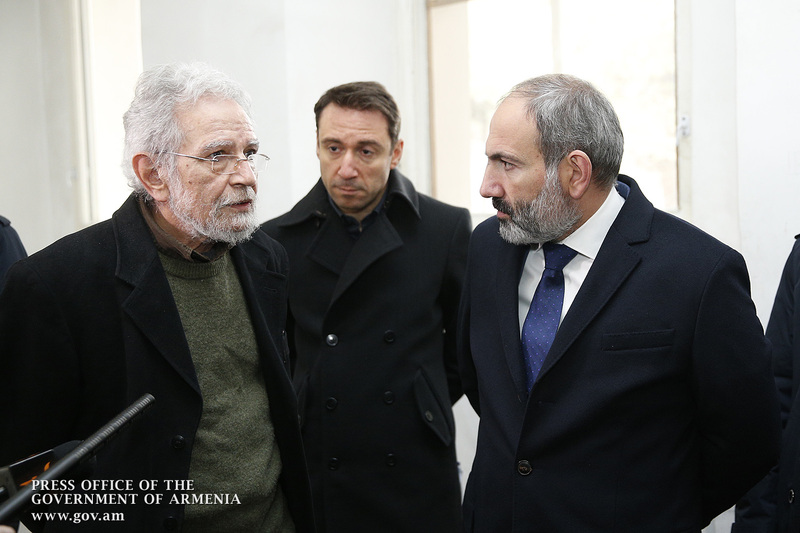 Hayk Marutyan and Arthur Meschyan advised that numerous investment proposals are coming in to the Town Hall, which are being forwarded to Yerevan’s administrative districts in order to expand the capital’s center. 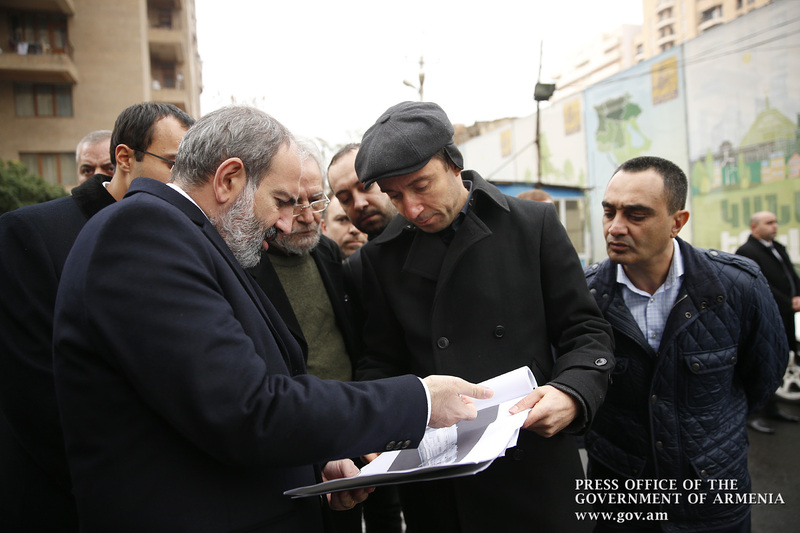 Concerning the city center’s unfinished facilities, Artur Meschyan said that the municipality is exploring different toolkits, the use of which might help complete the semi-constructed buildings. 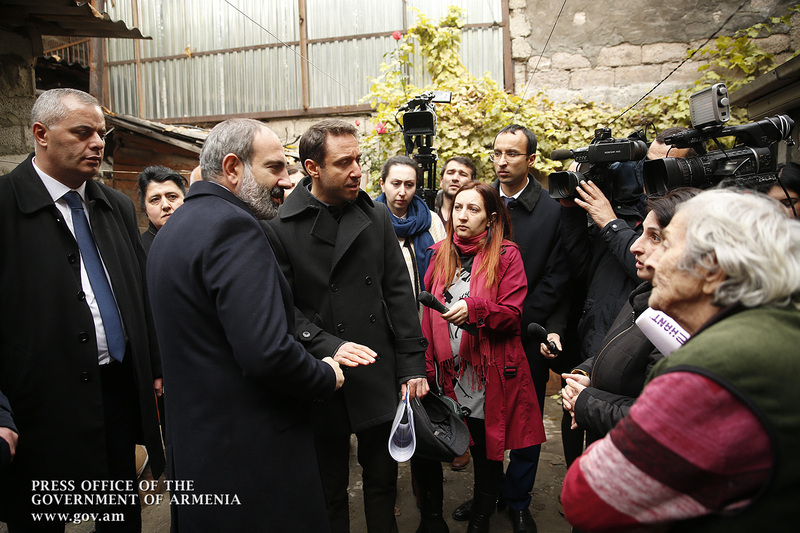 Nikol Pashinyan prioritized the implementation of consistent efforts in the aforementioned directions and went on to note that keeping in close touch with investors was the best way to solve problems.